How is Easter almost here already?! 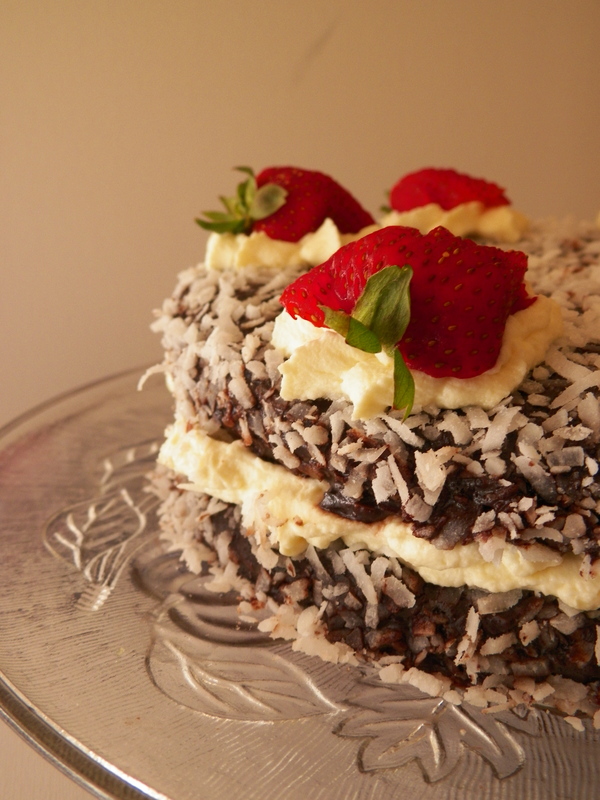 It scares me how fast time flies these days, but hey, any excuse to bake, really. 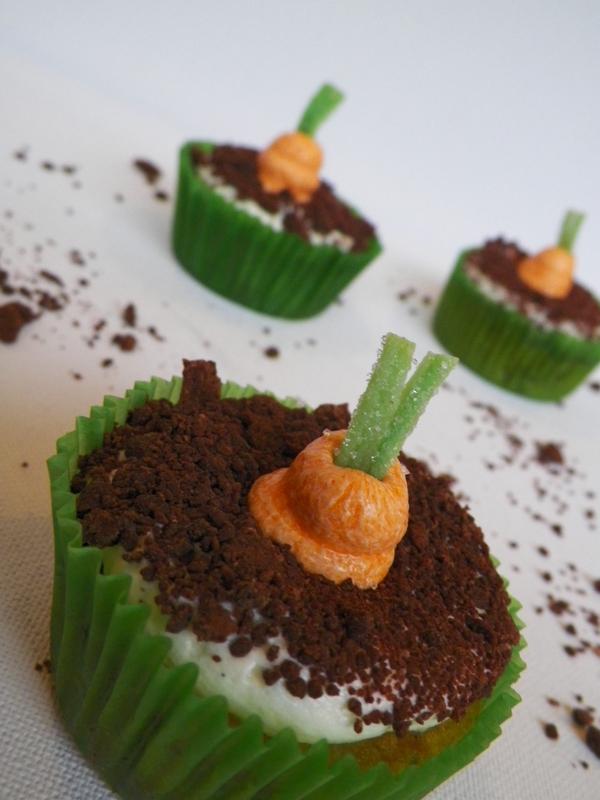 I found the idea for these awesome coming up carrot cupcakes on the ever-inspiring Pinterest. Unfortunately, I only saw them once and couldn’t find them again, so I don’t know whose idea they originally were, but they are pretty awesome. I first thought of crushing up dark chocolate biscuits for the soil, but I found this recipe to make your own by making a sugar syrup and adding dark chocolate. 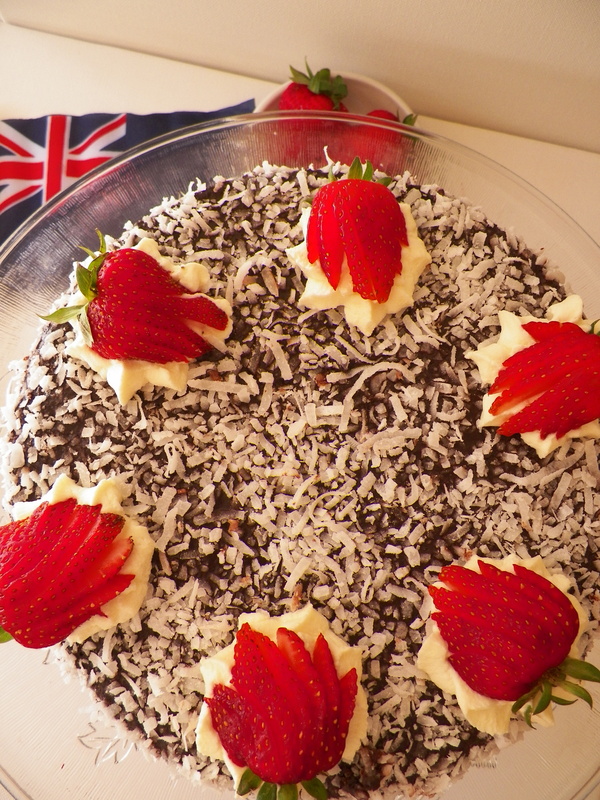 I was a little sceptical, but it worked really well, tasted great and added a nice crunchy texture to the cake. This was the first time I had ever make carrot cake, and I can’t really say I am a huge fan, but the cream cheese icing makes it all worthwhile! 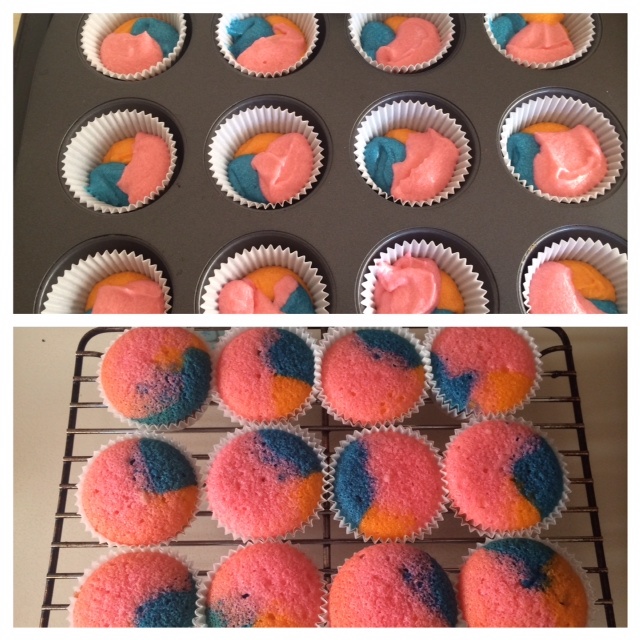 Preheat oven to 180c, and line cupcake tins. Beat the butter, sugar and nutmeg until pale and creamy. Add eggs, one at a time until well combined. Stir in self-raising flour until well combined, and then stir in the buttermilk until well combined, and then the plain flour until well combined. Stir in the carrot and the nuts. Spoon batter into cupcake cases, and bake for approximately 25 minutes, or until a skewer is inserted, and comes out clean. Leave in tins to cool for 5 minutes, and then turn out onto wire rack. I really love this recipe. It’s so clever – I never even thought of this combination actually working. The recipe is from The Lone Baker, and I would really recommend you try it, especially if you are familiar with making sugar syrups. 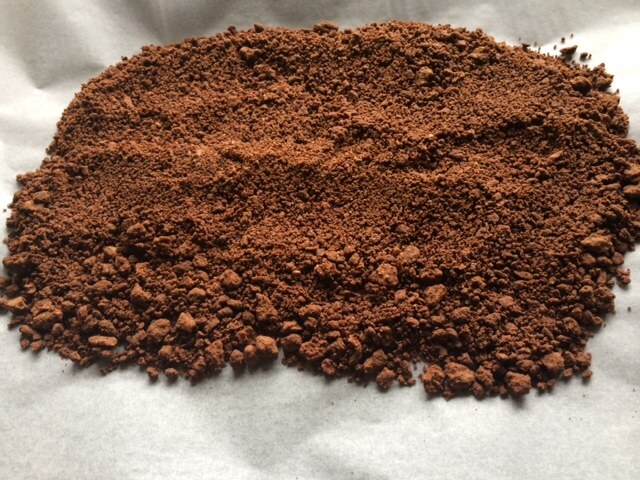 Chocolate soil is so versatile, and could be used for a variety of novelty cakes and desserts. Line an oven tray with non-stick baking paper. Place sugar with 2 tbs cold water in a small-medium saucepan, and heat on low-medium until the sugar dissolves, and starts to go slightly yellow around the edges – this can take a while, it took me about 8 minutes to get to this point. Once the sugar begins to go yellow, take it straight off the heat and quickly whisk in the chocolate and cinnamon with a balloon whisk. The consistency of soil will appear very quickly, and some of the mixture will stick to the sides of the pan. You can just scrape this off with a butter knife. Pour soil out onto prepared oven tray. Beat butter, cream cheese and vanilla together until pale and creamy, approximately 3 minutes. 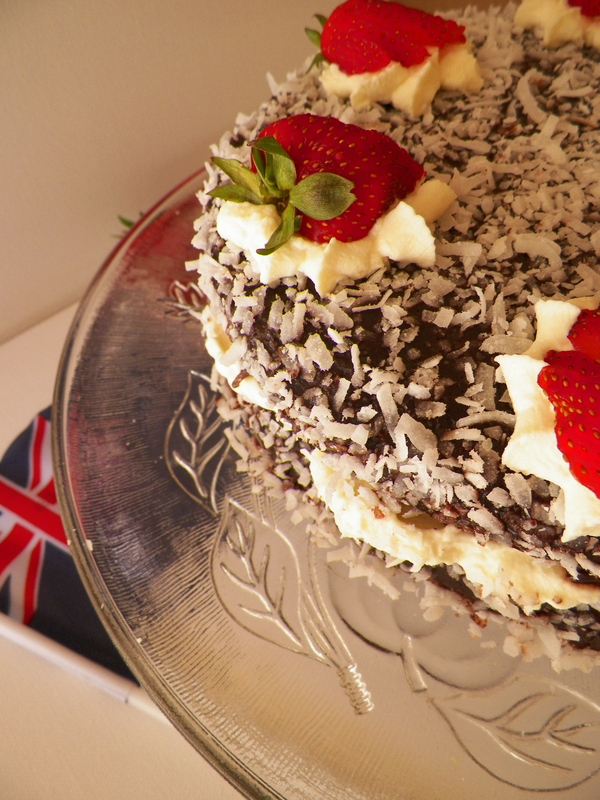 Gradually add the icing sugar. I use 2 cups, as I think that is sweet enough, but you can add more or less if you want to. Place 5 tablespoons of icing in a separate bowl, and colour with orange colouring gel/liquid. 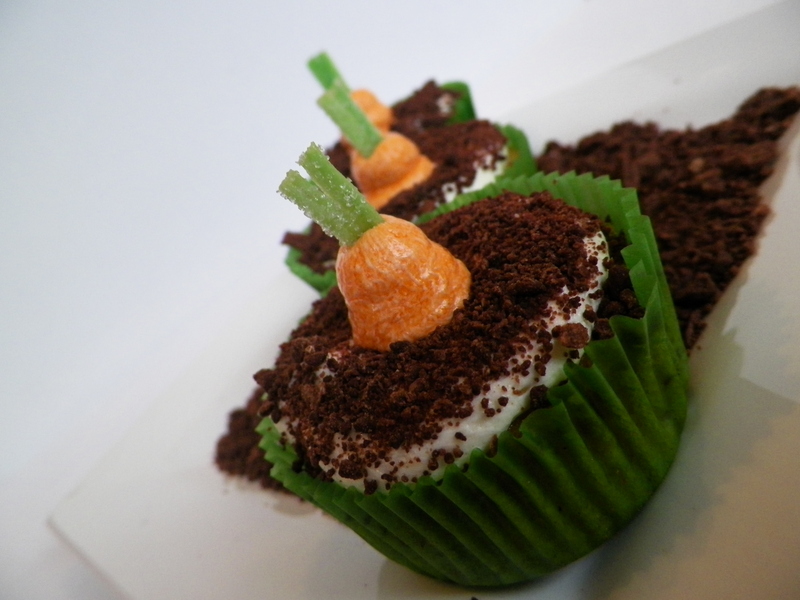 With a small sharp knife, carefully carve out a small circle in the top of the cupcakes, leaving a hole to pipe in the carrots. 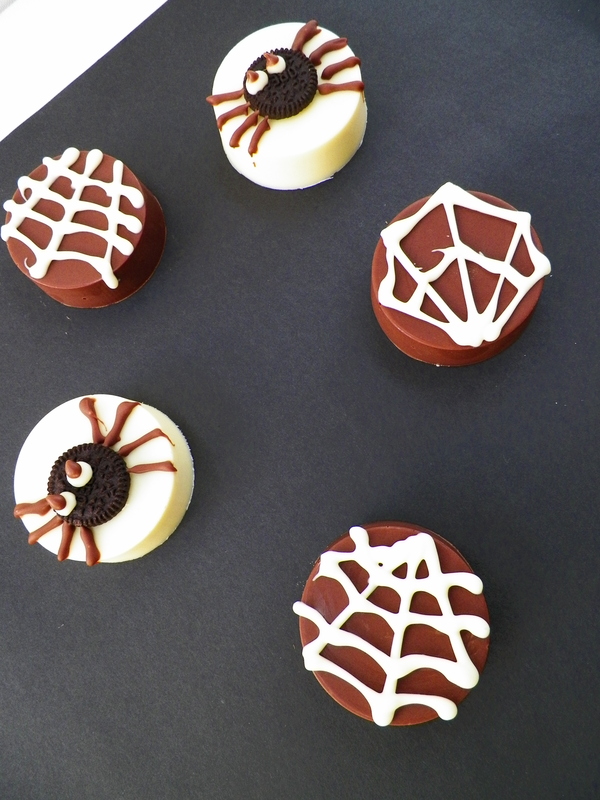 Place the icing in a piping bag fitted with a wide round nozzle, and pipe circles around the hole made in the cupcake. 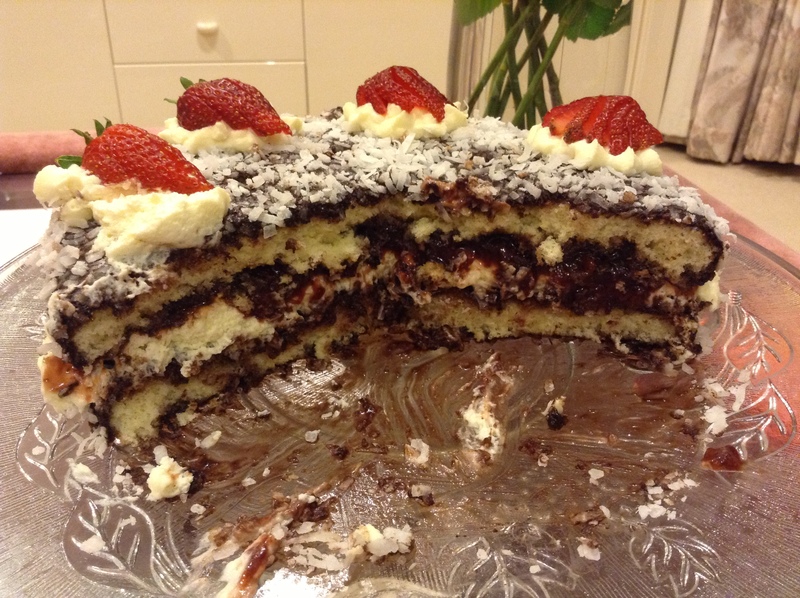 Dip iced cake in the chocolate soil. 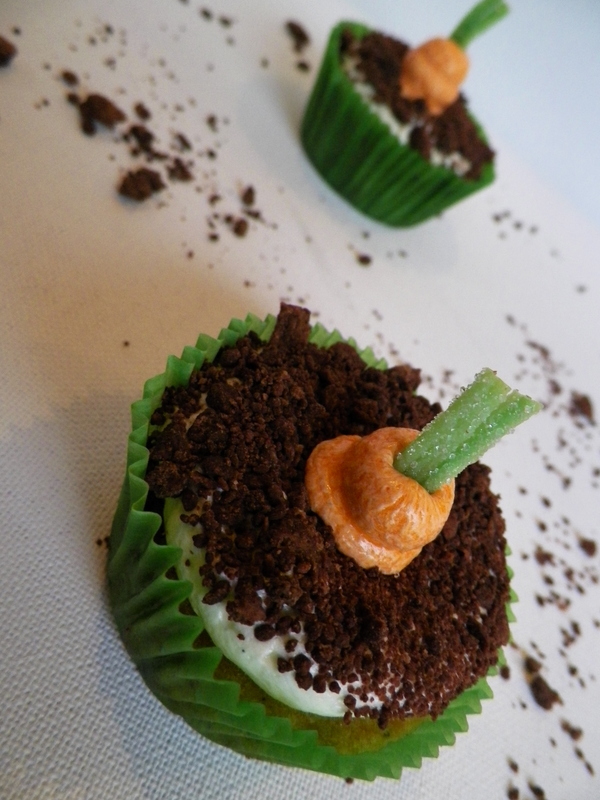 You can add more soil to the cupcake with your hands if dipping it doesn’t cover the icing enough. 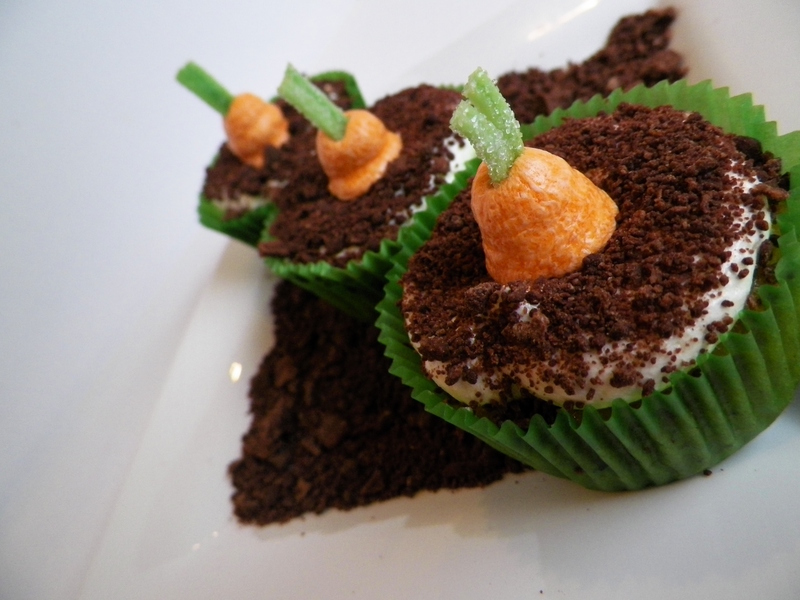 Once all the cupcakes have soil on them, place the orange icing in a piping bag fitted with a small round nozzle. Pipe ‘carrots’ into the holes in the cupcakes, piping up so that the icing is approximately 1-2cm above the top of the cupcake. For the tops of the carrots, I used the green part of a sour strap, cutting them with scissors, with an incision of the middle of the strap. Place it in the carrot, far enough that it will not fall over. You can find my previous Easter posts here. Happy Baking! 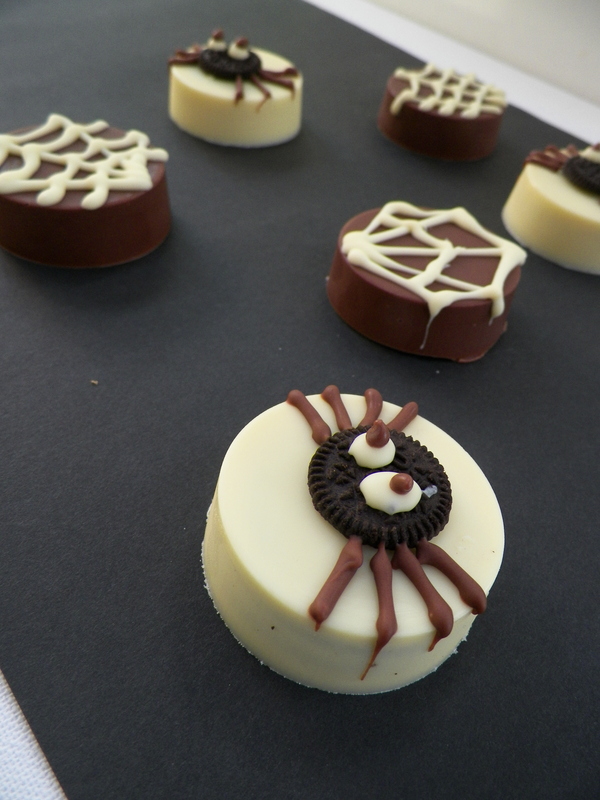 I used my trusted vanilla cupcake recipe for these, and once again, they worked a treat as always. 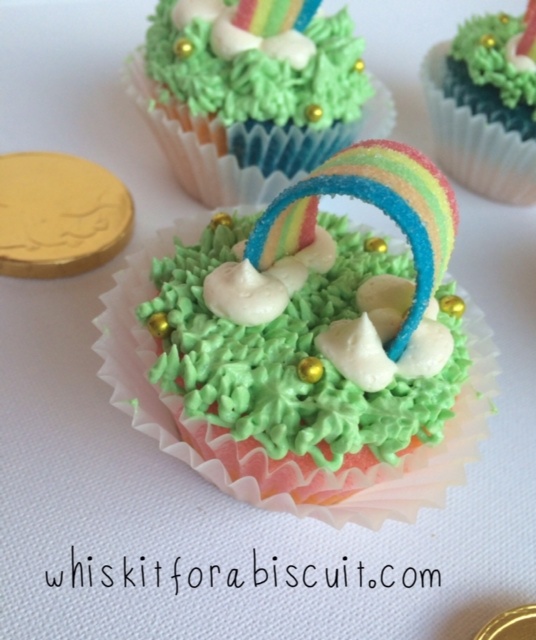 To get the rainbow effect throughout your cake, you just need to divide your batter into separate bowls, colour them, and spoon them separately into the cupcake cases before baking. I also loved the sour strap rainbow. 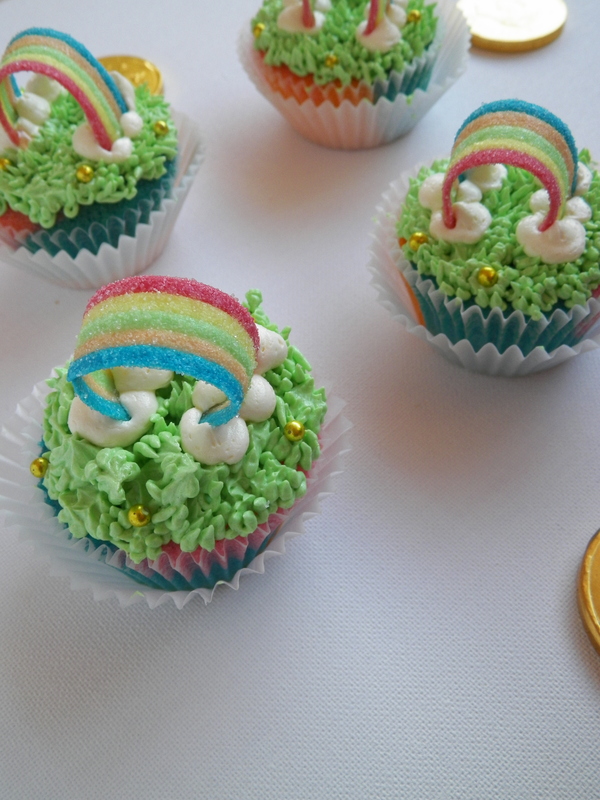 As cute as it looked, it also gave the cupcake a nice sour tang and cut through the buttercream. Deeeeeeelicious. 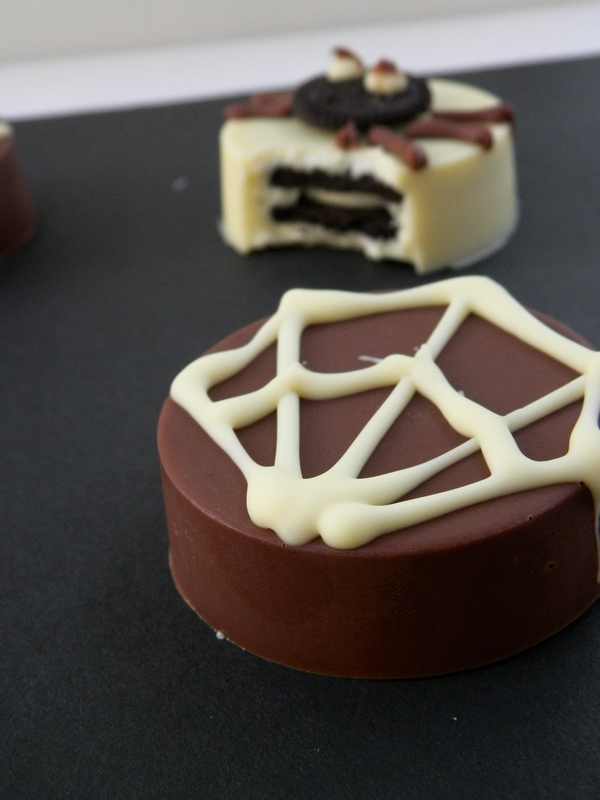 These little gems are really easy to make, too, and would be fun for kids to have a go at. You obviously don’t have to colour the batter, either. 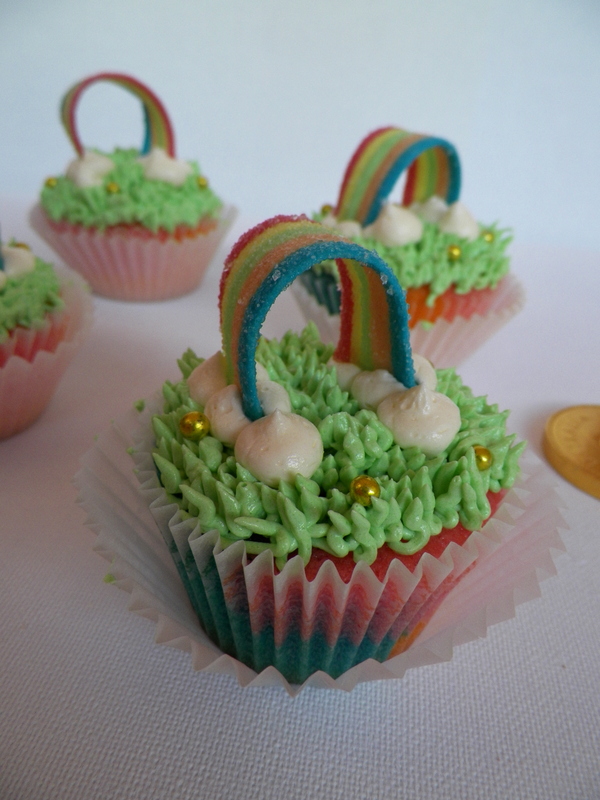 And you don’t have to pipe grass on the cupcakes, which I discovered is quite time consuming to get right! I can’t believe Christmas is over already! 😦 This makes me a bit sad, because it is, by far, my favourite time of the year. My favourite time from this Christmas was probably eating this pork belly. It was that good, even if I do say so myself. Pork Belly is hands down, one of my favourite foods in general. If the piece of tender meat along with the layer of juicy fat isn’t enough to whet your appetite, then the thick slab of crispy, salty crackling (that should always be there) surely must! The recipe that I used was awesome to say the least, and it will certainly be making a regular enough appearance on my kitchen table. I searched for awhile to find a recipe I was happy with, and that didn’t seem too hard, because pork belly is definitely not the easiest thing to cook. 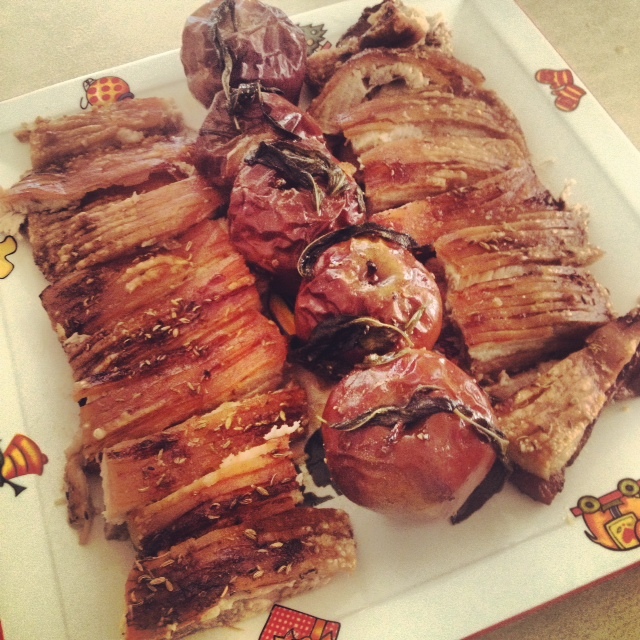 I really loved the roasted apples that went with the pork, because they were all lovely and caramelised from the butter and brown sugar I put with them in the oven, and it was a welcome change from the standard super sweet store bought apple sauce! 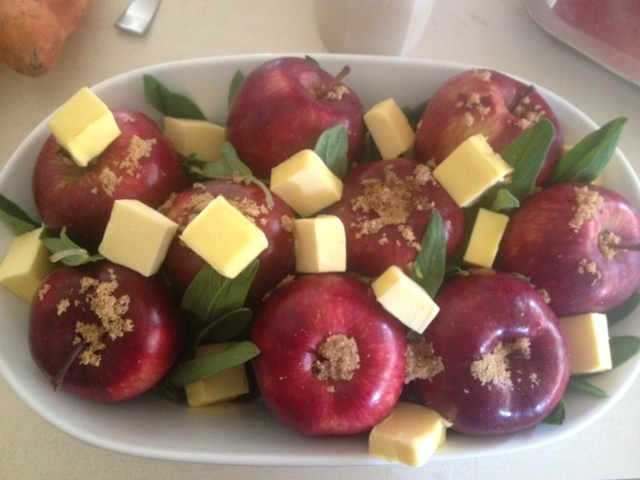 Plus, the whole apples look much nicer on the plate, too. I’m not going to worry about writing the recipe out for you, because I followed it word for word from Taste.com, my go to site for awesome recipes. You can find it here. 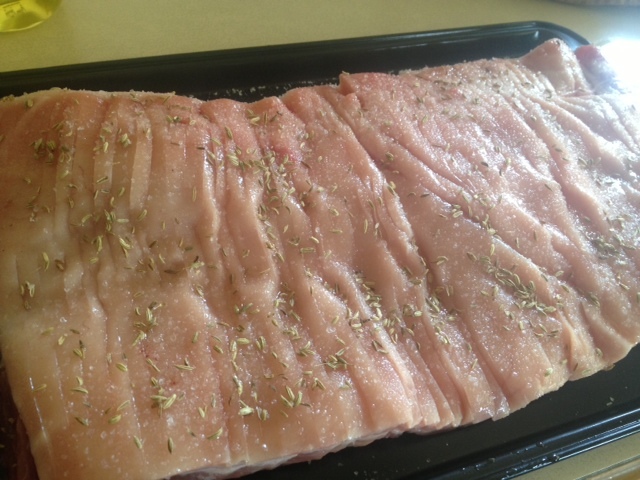 If you are going to try cooking pork belly yourself, I have a couple of tips for you. Not that I am an expert on the subject, but they certainly helped me out. Firstly, ask your butcher to score the pork rind for you, it makes preparing the meat a lot easier. Second, do not be afraid of salt! Salt will draw moisture out of the pork, and create crispy, crackly goodness. I put three layers of coarse sea salt on my rind, along with the fennel seeds called for in the recipe. Lastly, if your pork is not as crispy in the middle as it is on the edges, it is okay to leave it in the oven for longer, just turn down the temperature a little, and it is unlikely that the meat will dry out.There is a lotttttttttttt of fat in pork belly, it will keep the meat moist. And, of course, enjoy every moment of eating that pork. 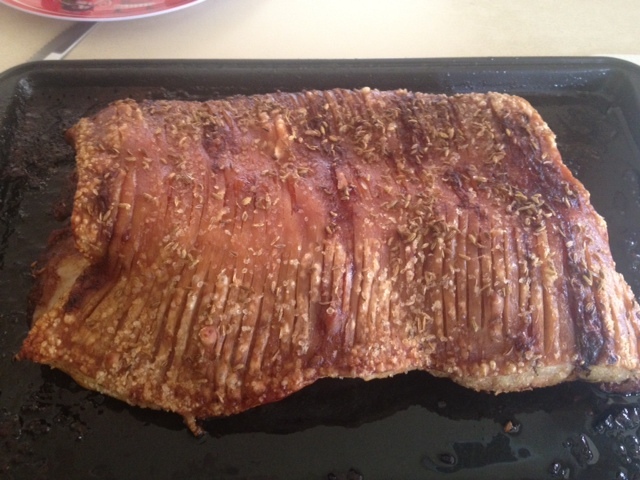 I am not often happier than I am when eating freshly roasted pork crackling, as silly as it sounds. I love it! I hope you all had a wonderful Christmas, and enjoy bringing in 2014! Thanks very much for reading whiskitforabiscuit’s adventures this year 🙂 See you next year. Happy Baking! After four months of no baking, it feels good to be back! I can’t believe it’s been THAT long, nearly half a year of no butter and sugar action, which is a just a bit wrong, really. When I stepped back into the kitchen and begun measuring my ingredients out, it all came flooding back. 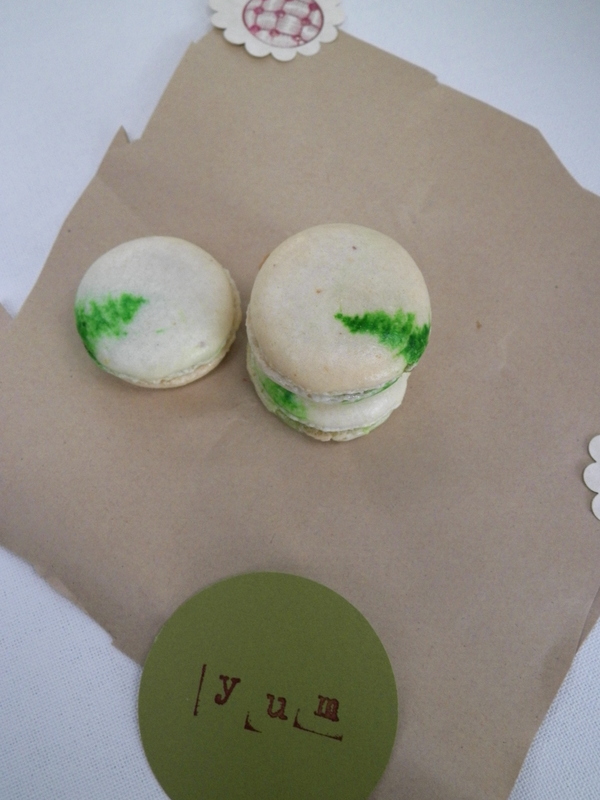 It was reassuring to know that I hadn’t completely lost my touch, and the macaron recipe I use has remained engraved in my brain – it’s the only recipe I know off by heart, no surprise. 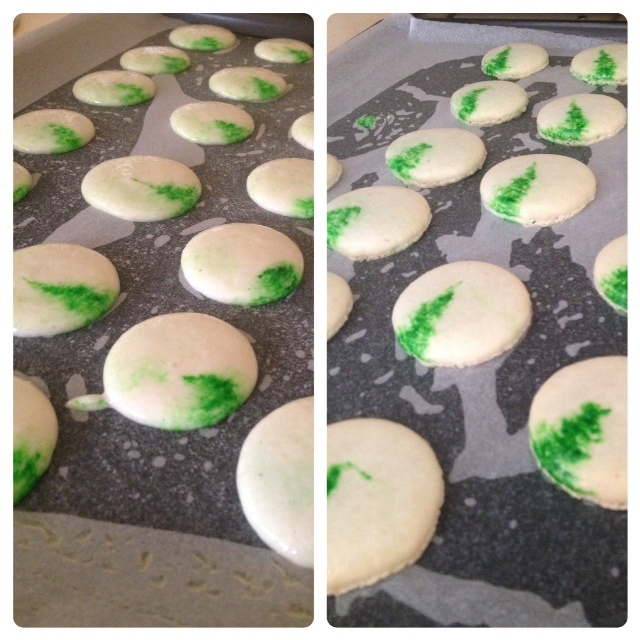 I had been planning these macarons for about a week to mark the beginning of my Christmas baking schedule, which is very hectic – again, no surprise, as I always become over ambitious with these things, trying to do waaaaay too much in so little time. Whilst this flavour is not quintessentially Christmass-y, it is extremely delicious. Anything involving salted caramel is. I poached the pears in vanilla and cinnamon, so I guess that means I can claim it as a Christmas flavour? I loved the fresh hit of the pear in the midst of the creamy caramel, however I think it made the shells bit soggy unfortunately. Next time, I would maybe try making my own pear jelly and have little cubes in the middle. They were delicious nonetheless. The green Christmas trees on the shells were incidental actually. I just thought it would be nice to add a little green touch to represent the pear, but I’m happy with the result! Begin beating the 50g egg whites with one hand, and with the other, stream the hot sugar syrup down the side of the bowl to create an italian meringue. Beat until stiff peaks form, the meringue should be thick and very glossy. If you want to add flavouring/colouring, now’s your moment. So add the colouring now. Just lightly beat them into the meringue. 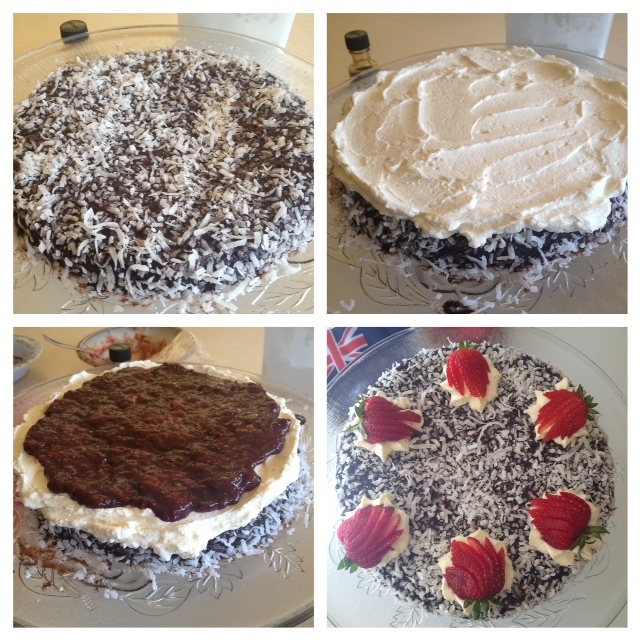 Pour meringue into the almond meal, icing sugar and 45g egg whites mixture and mix roughly to combine. When combined, fold mixture together (one single stroke) until there are no air bubbles left. Make a spread across the top of the mixture, and it should disappear in about 20 seconds. Spoon mixture into a piping bag fitted with a round nozzle. (If you don’t have a piping bag set, most supermarkets sell plastic ones, they are Multix brand, in an orange box and contain 5 piping bags with a few different nozzles, plus they’re only about $3. You should be able to find them in the baking aisle). 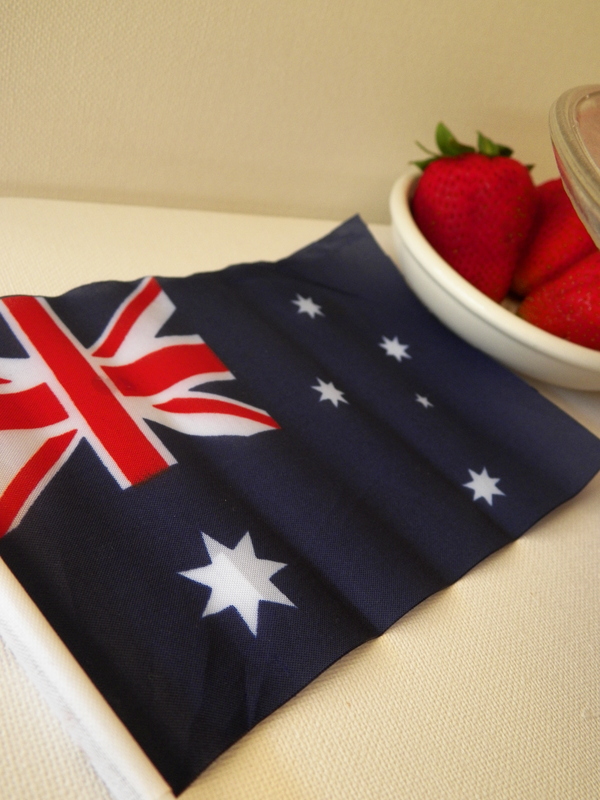 Dip a skewer into green colouring gel, and wipe up one side of the piping bag, creating a straight line. Lock the bag by spinning the top around 4 times. Pipe 3-4cm rounds on the oven trays prepared earlier. Tap the bottom of the trays on the kitchen bench and let them sit for about half an hour, or until mixture is dry to the touch. Meanwhile, preheat the oven to 145c (135c fan forced). Peel pears from the stem down, and coat in lemon juice. Place all ingredients in a medium sized saucepan and simmer over a medium heat for around 20 minutes, or until pear is soft. You can test the pear with a fork, however do not make too many holes as they can become waterlogged. Once pear is cooked through, place in fridge for approximately 30 minutes to cool completely. Once cooled, cut into small bite sized pieces. 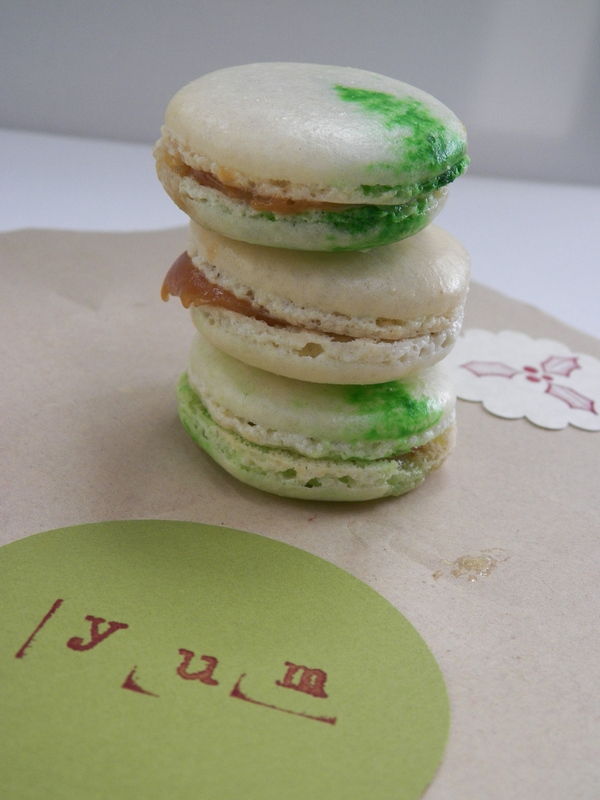 Pair up likely macaron shells. 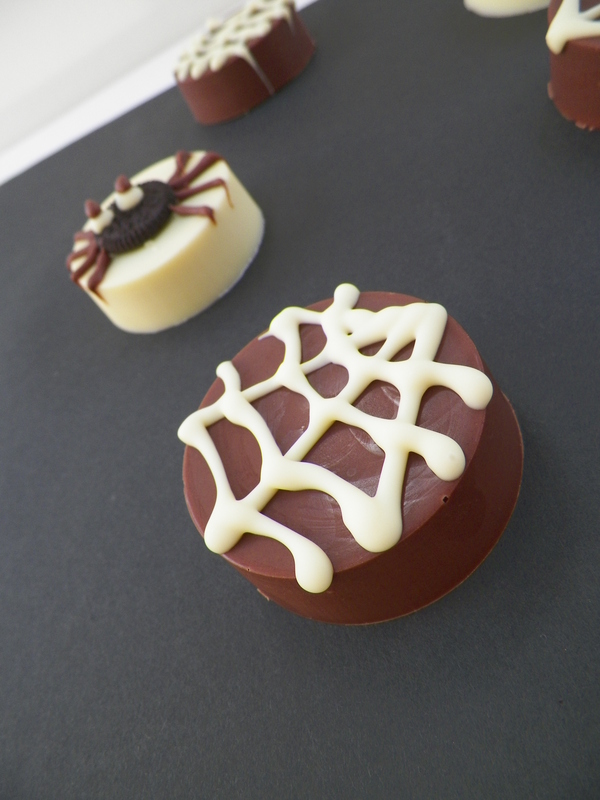 Scoop caramel into a piping bag fitted with a round nozzle. Pipe a small circle on one shell, place a piece of pear on the caramel, and pipe another small circle over the top of the pear. Sandwich together, and place in an airtight container in the fridge. 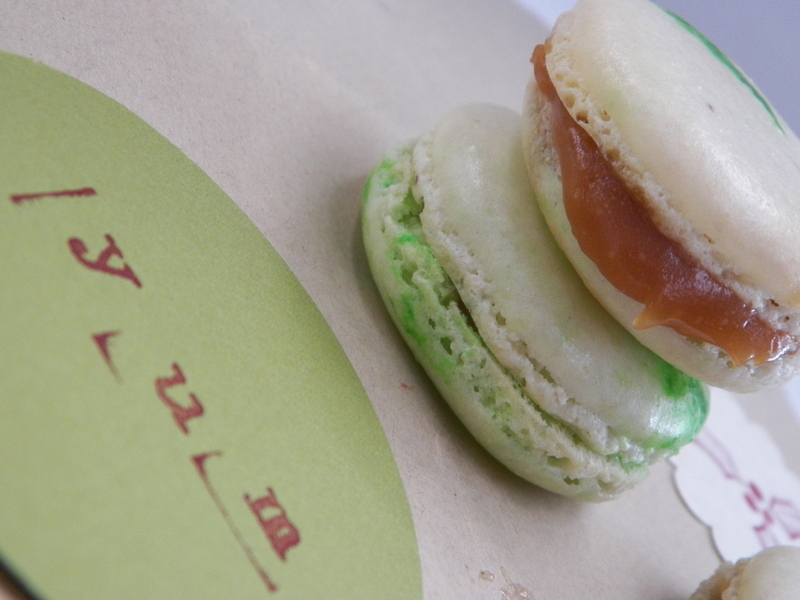 When ready to eat, bring macarons down to room temperature.